No one makes grills like Weber, and Weber grills still dominate this report, with the newly redesigned Weber Spirit II E-310 taking over the top spot in gas grills. 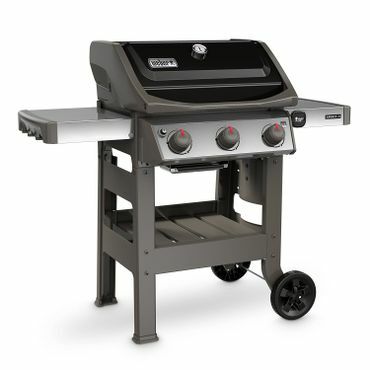 However, if you just need a grill for occasional use, or are trying to watch your budget, we recommend a variety of grills for families and budgets large and small. Newly redesigned for 2018, early buzz regarding the Weber Spirit II E-310 is very promising. With a total cooking area of 529 square feet, it's large enough to cook for about four people, and is easy to use and clean. It's also backed by a long warranty, good customer service, and replacement parts are widely available. In other words: it will live to cook for years. It comes in both propane and natural gas versions and in four colors. If you need a bigger grill, but don't want it to take too big of a bite out of your wallet, experts say you'll love the 644 square inch (total cooking surface) Nexgrill 720-0830H Gas Grill. Experts say it's a great value, with one calling it, "a steal for its price." It gets good ratings from many owners as well. Features include four interior burners, a side burner and an attractive, stainless steel housing. Specs that Matter Cooking area - 363 sq. in. Fuel type - Charcoal Weight - 32 lbs. Experts agree: for the improved ease of use, it's worth the $50 price bump to trade up to the Weber Original Kettle Premium from the Weber Original 22-inch Kettle (Est. $100) [B00004RALU]. And the Premium is still a terrific value since Weber grills last for decades. It performs equally well at direct or indirect grilling, and is also a great smoker. The 22-inch Kettle's 363 square inch cooking space can handle a large quantity of food, and it's easy to assemble, use and clean. Specs that Matter Cooking area - 189 sq. in. Fuel type - Propane Weight - 30 lbs. The Weber Q 1200 is the grill you want if you have a small space and want a quality, top-performing gas grill for that space. 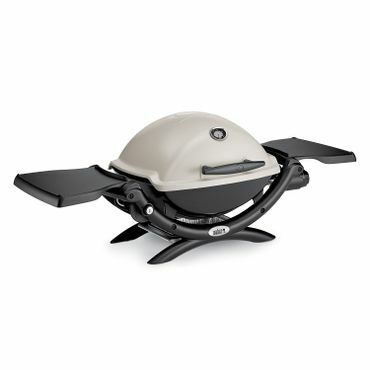 It heats evenly and excels at all types of grilling tasks; with fewer flare-ups than other grills. There are also a few nice features, such as an electric ignition, fold down side tables and thermometer to let you know when it's hot. Although it weighs 30 pounds, the side handles make it easy to carry. Specs that Matter Cooking area - 140 sq. in. Fuel type - Charcoal Weight - 9.8 lbs. The Smokey Joe 14" Charcoal Grill is a scaled-down version of the iconic Weber Original Kettle Series, and reviewers say it works just as well as its big brother. Its light weight and small size make it highly portable, and it's equally popular with tailgaters, campers and those who live in homes or apartments with limited outdoor space. Many say they've had their Smokey Joe for many years and it cooks as well as it did on day one. Owners also say it's easy to use and clean. 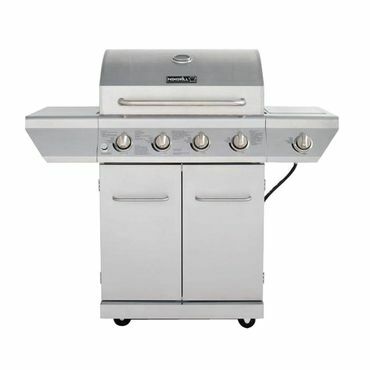 Gas grills heat quickly and feature knobs just like an oven's, which means they are easy to use. Many gas grills also have temperature gauges so you know when it's at the optimal temperature (although in-lid thermometers get terrible reviews for accuracy, so you might want to invest in a dedicated meat thermometer, which we cover in a separate report). Gas grills are versatile and can be used for both direct and indirect cooking, just like a charcoal grill -- except instead of fiddling with moving charcoal around, you just have to turn off the heat on one side for indirect cooking. You can also buy smoker boxes that hold wood chips and can be set on the flames to impart a more traditional barbecue flavor to your food. Charcoal takes longer to light than a gas grill and controlling a charcoal grill's heat isn't as simple as turning a gas grill's temperature dial. But once you've mastered the learning curve, enthusiasts say the extra trouble is worth it for the flavor that cooking over charcoal imparts. Most charcoal grills are versatile too, and can be used as smokers. 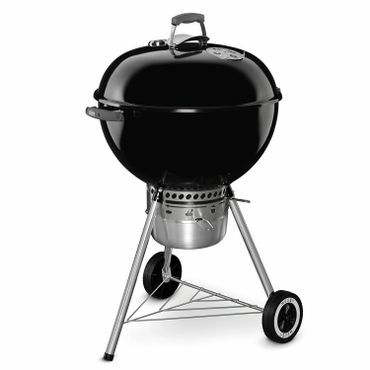 Many charcoal grills are built to last for years or even decades. Smaller grills are handy in a few situations. Larger, higher-quality portable grills are a good choice as a primary, permanent grill if you just have a small patio or deck. They may weigh too much to be truly "portable," but will take up much less space than a full-sized grill. Smaller portable grills, many with folding or telescoping legs, are a great choice for camping, tailgating or picnics. 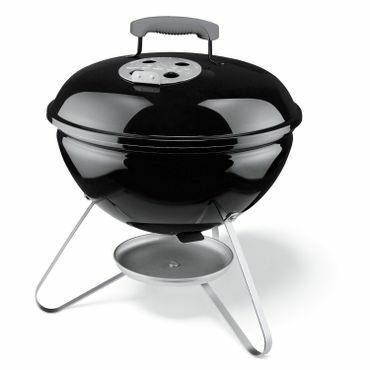 Portable grills come in both charcoal and gas models. Because grills use fire or gas, it's not surprising that some models would end up on the Consumer Product Safety Commission's list of recalled products. If you're planning to buy a used model or shop at an outlet rather than a conventional retailer, it pays to check the CPSC list before buying. Also, it goes without saying that grills get hot on the outside when they're being used for cooking. Keep children and pets away from them and take basic safety precautions like wearing oven mitts and being careful not to touch hot surfaces. Finally, as the CPSC notes, never, ever, use a charcoal grill indoors or in any other confined space, such as a tent or an RV. "Get Ready for Summer With the Best Gas Grills of 2018"
Grilling is a popular activity year 'round and there is no shortage of professional testing and expert roundups of grills -- more for gas than charcoal models, though. Consumer Reports and OutdoorGearLab are good resources in our search for the best gas grill because they have a comprehensive testing-and-ranking protocol. Wirecutter, Reviewed and Cook's Illustrated test both gas and charcoal grills, but very few other sites do. We also turned to expert reviews by the barbecue professionals and enthusiasts at AmazingRibs.com. To get a feel for how each grill operates in real-world, long-term use, we also consulted thousands of owner reviews from users at retail sites, such as Amazon, Walmart, Home Depot and Lowe's. The result is our picks for the top gas, charcoal and portable grills for any sized family or budget. Provides easy access to the cooking space.